Product Code: CJF57 No more than 5500 units produced worldwide. 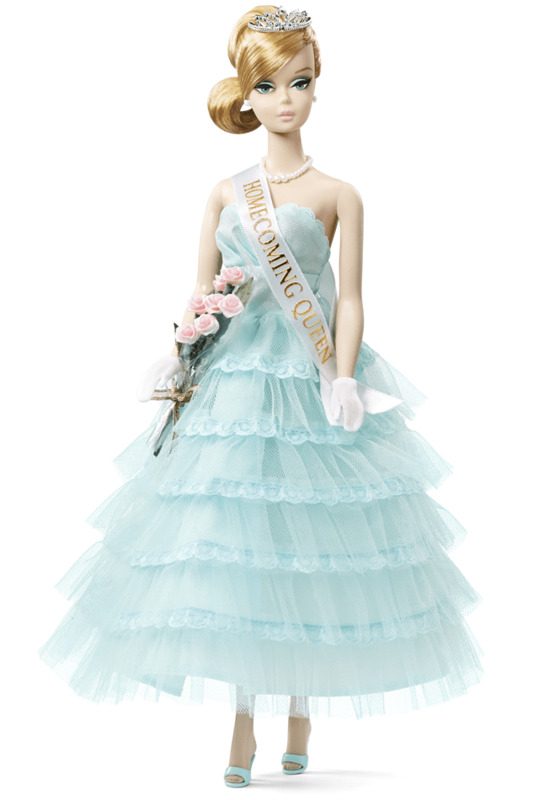 Homecoming Queen™ Barbie® doll celebrates a favorite American tradition in regal attire. Her strapless, aqua blue tulle and taffeta gown features rows of tiers. Golden letters on a white satin sash declare her “Homecoming Queen.” Crowned with a silvery tiara, Barbie® carries a bouquet of pink roses. The perfect accessories are peep toe aqua mules and a jewelry suite of earrings and necklace. The final nostalgic keepsakes are tiny homecoming tickets and a “Vote Barbie®” poster. 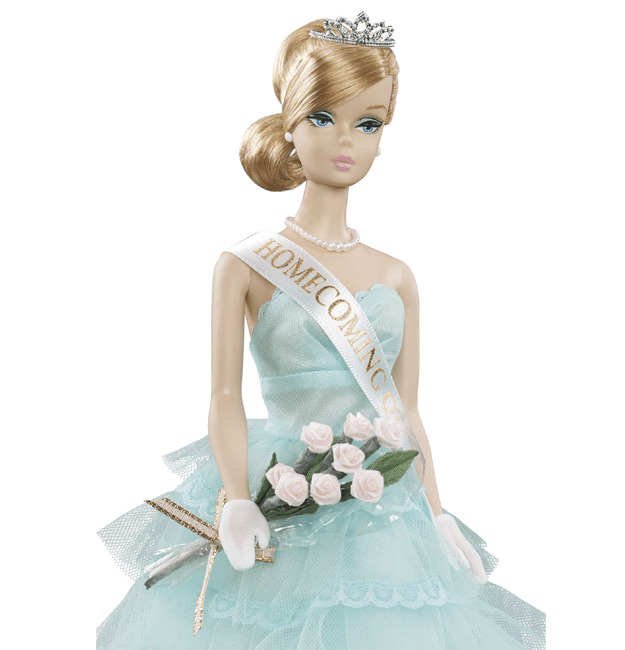 Homecoming Queen™ Barbie® doll is second in the Willows, WI™ Collection, paying tribute to Barbie® doll’s rich heritage. Included with doll: Shoes, Earrings, Bouquet, tiara, dance tickets, mini poster, pronged doll stand.